India is an enormous country and although there is excellent land transport links throughout the country, these are often over crowded and uncomfortable and the distance between major centres requires lengthy journeys. It is for these reasons that internal flights within India are so popular. With such a comprehensive selection of internal flight routes, air travel within India offers excellent access to destinations throughout the country. With a reputation for having somewhat chaotic airports, the country’s larger air hubs have undergone renovations and facilities have improved dramatically over recent years. Major airports in India offer both domestic and international flights. Presently, there are as many as 126 airports in India, which includes 11 international, 89 domestic and 26 civil enclaves at Defense airfields. The Airports Authority of India manages all major airports throughout the country. India is now well on the way to having some much improved, glossy new airport terminals. However, this hasn’t been with without major inconvenience to passengers. In addition, congested runways at many airports add to flight delays. Mumbai has two Airports-The Chattrapathi Shivaji International Airport and Santa Cruz Domestic Airport.At a height of 26 feet above mean sea level, The Chhatrapati Shivaji International Airport serves as one of India’s major international airports. Begumpet Airport (IATA: HYD, ICAO: VOHY) at Hyderabad, also known as Hyderabad Airport, is currently the only international airport in Andhra Pradesh. It is a civil enclave located in Begumpet. The airport is host to the Andhra Pradesh Aviation Academy and the Begumpet Air Force Station of the Indian Air Force as well. Madras International Airport is situated at Tirisulam, 7 Km south of Chennai. It has two terminals, Kamaraj Terminal, handles domestic flights connecting 20 destinations across the country with Chennai. The International Terminal, named Anna Terminal, connects major destinations. Bengaluru International Airport IATA: BLR, ICAO: VOBL) is an international airport serving the city of Bangalore. The airport is the fourth busiest airport in India after Mumbai, Delhi and Chennai. The airport is host to 10 domestic airlines and 21 international airlines connecting the city to about 50 destinations across India and the world. The international Netaji Subhash Airport (Dum Dum Airport) is 20 kms from the city. Most of the domestic airlines have direct services to and from Kolkata-Kolkata to other important cities of India such as Delhi, Mumbai, Chennai, Patna, Varanasi, Lucknow, Bangalore. Sardar Vallabhbhai Patel International Airport (Gujarati) (IATA: AMD, ICAO: VAAH) is India’s eighth busiest airport with an average of 250 aircraft movements a day. It services the metropolitan areas of two cities in the State of Gujarat – Ahmedabad and Gandhinagar – and is located 8 km (5.0 miles) from the Ahmedabad Railway Station. Lists by ICAO location indicator, Lists by state or union territory India is dotted with airports handling national and international flights. India’s airport network efficiently caters to the millions of travelers and tourists coming to visit the country. 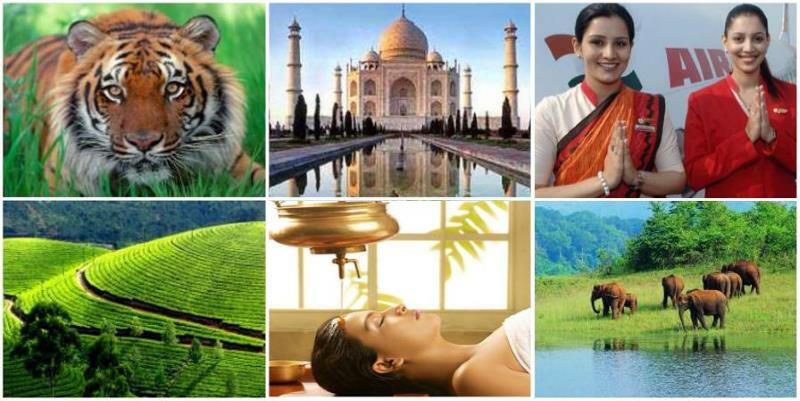 Due to this India’s travel and tourism industry is booming and benefiting the country’s economy. India has more than 20 international airports and several domestic airports. The important airports in India include Indira Gandhi International Airport of New Delhi, Chattrapati Shivaji International Airport of Mumbai, Begumpet Airport of Hyderabad, Calicut International Airport of Calicut, Chennai International Airport of Chennai, Cochin International Airport Limited of Cochin, HAL Airport of Bangalore, Netaji Subhash Chandra Bose International Airport of Kolkata, Raja Sansi International Airport of Amritsar, Sardar Vallabhbhai Patel International Airport of Ahmedabad and Trivandrum International Airport of Trivandrum.